An inherent problem in the correctional system is overcrowding. This situation inevitably leads to the congestion of storage space in all prison offices and departments. 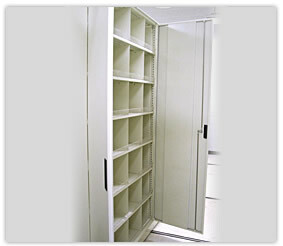 Franklin Mills can provide efficient solutions to your storage problems by maximizing existing space and providing a highly secure environment for storing virtually any item.